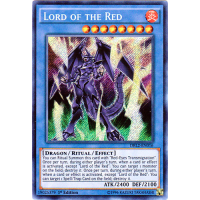 You can Ritual Summon this card with "Red-Eyes Transmigration". 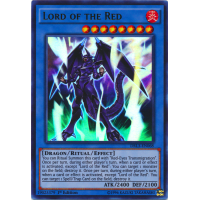 Once per turn, during either player's turn, when a card or effect is activated, except "Lord of the Red": You can target 1 monster on the field; destroy it. 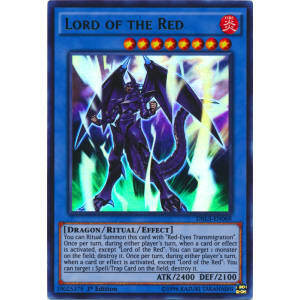 Once per turn, during either player's turn, when a card or effect is activated, except "Lord of the Red": You can target 1 Spell/Trap Card on the field; destroy it.